The East Coast is a great destination for a family-friendly vacation or a romantic weekend getaway. Whether you looking for a feature-packed city beach destination to enjoy with the kids or if it is a quiet nature setting that you seek, there's sure to be a spot that's right for you. There are plenty of great vacation destinations to enjoy along the East Coast . Get started planning a trip you will remember for years to come. 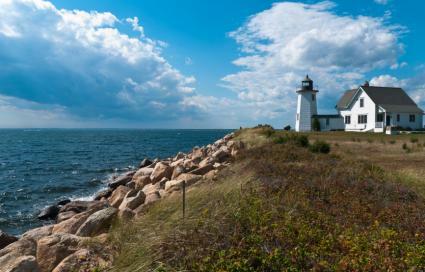 Cape Cod is made up of 15 towns on the tip of southern Massachusetts that juts out into the Atlantic Ocean. 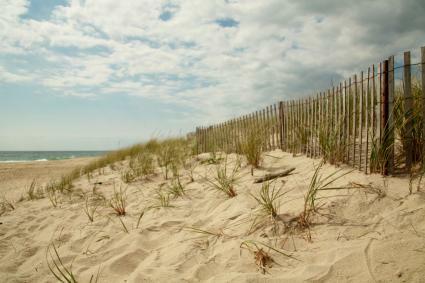 People travel from all over the world to visit Cape Cod for its cool beaches and delectable seafood. There are plenty of activities available from easily accessible boating and fishing, to whale watching, to hiking. Renting bikes allows you to explore the area and take in the sights from a different viewpoint. You can also try beach camping on Cape Cod for a new and unique experience. If your goal is to get away from the hustle and bustle of the city, try a summer Belmar vacation rental. At Belmar you can surf, canoe, kayak, scuba dive, shop, eat, or comb the beach. Lodging options include inns, B&Bs, hotels, or even camping. Belmar is only about an hour from New York City or Philadelphia and can be reached by train. It is great for families or couples looking for a seaside getaway. 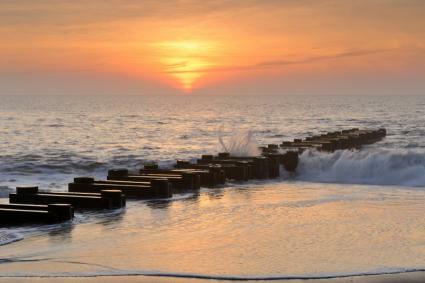 If you're looking for a historical and beautiful beach with a cool breeze, look to Rehoboth Beach in Delaware. A short three-hour drive from Philadelphia or Washington D.C., Rehoboth is a hidden escape for city-dwellers. With a sandy beach, a long boardwalk, and picturesque views of the ocean, visitors can soak in the sun or visit the shops and eateries on the boardwalk. The town also offers other activities like summer concerts, a farmer's market, restaurants, and a historical museum. People have been enjoying this lovely beach for years, with the beach boardwalk dating back to 1873. This destination in Long Island, NY has become synonymous with the utmost in luxurious retreats. It is the ultimate getaway, populated by affluent New Yorkers and those from surrounding metropolitan areas. Make the Hamptons your own by relaxing on the six-mile beach at Jones Beach State Park or walking the grounds of the Planting Fields Arboretum. Families will enjoy the Long Island Aquarium, the Long Island Children's Museum, or a nearby waterpark. And of course, who doesn't love visiting celebrity houses? Old Orchard Beach in Maine is a classic place to take the family. The water may be a bit chilly so head there in late summer if your goal is to swim. The town features an amusement park on the beach, as well as a nearby water park and indoor karting facility. Bikes, canoes, and kayaks are available to rent, but the main attraction is the seven-mile long beach. If Old Orchard isn't your cup of tea but you are looking to vacation with family, check out this list of Best Family Beaches on the East Coast. The Maine Lobster Festival turns the town of Rockland into a food-lovers delight. The festival boasts attractions of live entertainment, a parade, a crate race, fine art and craft vendors, cooking competitions, and of course, loads of lobster. Explore nearby beaches or head up to Camden Hills State Park for an escape into nature. Return to Rockland for a tour of a US Navy ship. The festival is great for a romantic getaway, a family trip, or an adventure with close friends. Virginia Beach is a popular East Coast vacation destination. Thee busy beach town offers nightlife, entertainment, beach going, and water sports. Virginia Beach in Virginia is also a big vacation destination, with about 2.75 million people visiting per year. Virginia Beach strives to be a family-friendly location, and has mild weather year-round. Among other events, the city hosts the East Coast Surfing Championships each August. 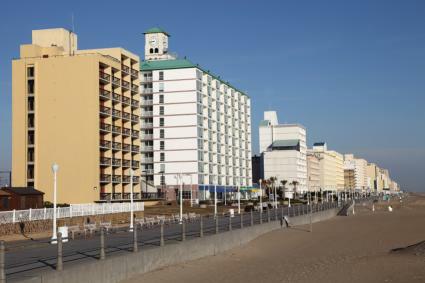 Myrtle Beach is located in South Carolina where tourism is the number one industry, wracking in about $15 billion annually for the state according to the South Carolina Department of Parks, Recreation, and Tourism. The popular ocean front community Beach has 14 million annual visitors who come to enjoy the more than sixty miles of beachfront, great shopping, food, and water activities. The East Coast truly does have it all, with beaches, forests, history, culture, big cities, and quaint getaways. With a coastline spanning from Maine all the way down the Florida, the region's nature, weather, and landscapes are rich and varied. No matter what your vacation goals, the East Coast has a destination to fit your needs.